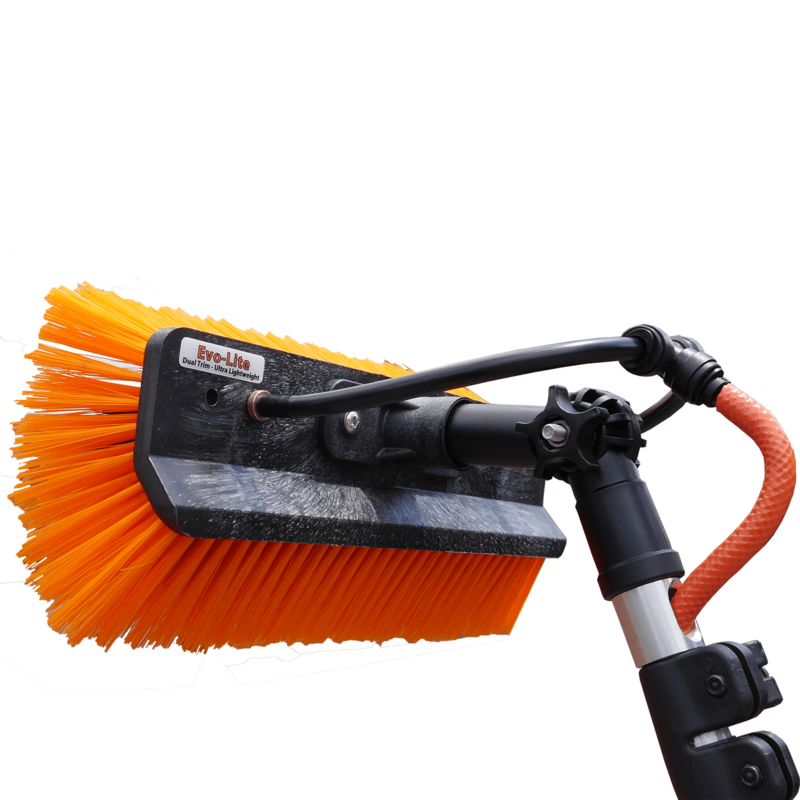 This sill brush has been designed to be durable and hard wearing, as well as being as lightweight as possible without compromising on scrubbing power. Our new version 2 Sill Brush now only weighs 293g's, which is over 10% lighter than our previous version. Uniquely manufactured with a dual trim flocked bristle area that hits the glass, and standard mono bristles for cleaning the sill area.